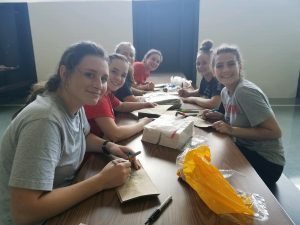 Each year the Everest cross country team tries to incorporate some apostolic service projects into their season. The team spent time on Thursday making lunches for the homeless in Detroit. The girls brought in all the supplies to make 125 lunches. 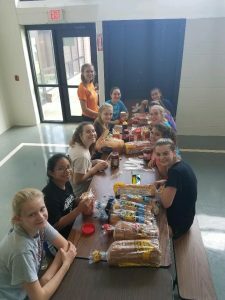 After decorating the lunch bags, making the sandwiches, and assembling the lunches, they said a prayer together for all those who would receive the lunches the following day.